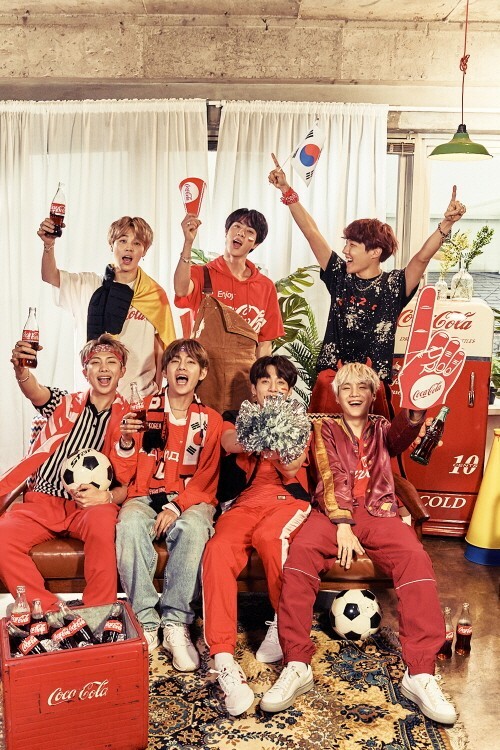 'Coca-Cola' released more photos for the '2018 FIFA Russia World Cup' campaign with global K-Pop group BTS. 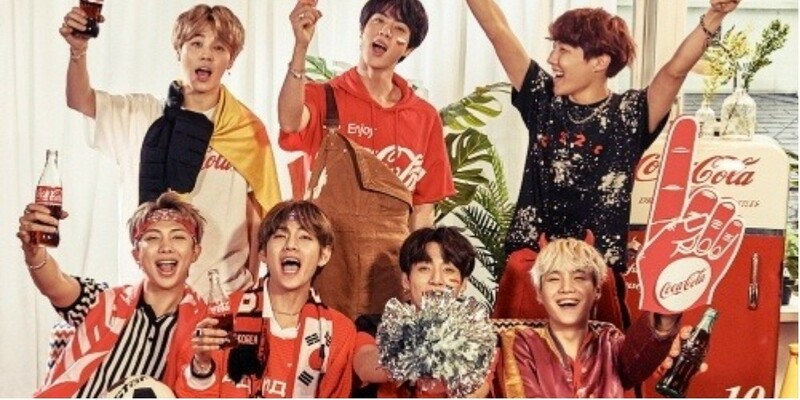 With the World Cup only a month away, the BTS members turned into South Korea's 'Red Devils' for the latest photos. 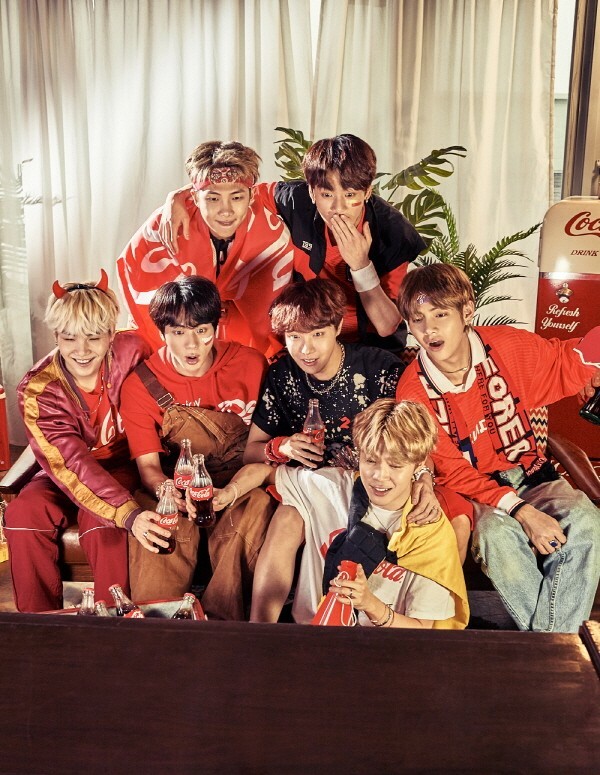 The idols decked up in South Korea's signature red gear and are seen gathered around the TV, getting hyped up for the intense soccer matches. 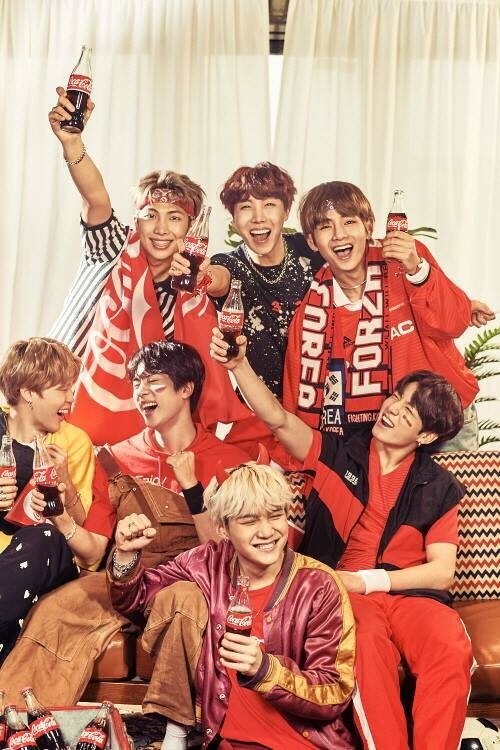 You can check out the latest 'Coca-Cola' photos with BTS below. Meanwhile, BTS is gearing up for their comeback with 'Love Yourself: Tear' on May 18.